You wouldn't think blooms could get more unique than dahlias, but the unique anemone form is unexpected, even for such a quirky genus! Cannes has quite the dressy blooms, the darker petals in the pincushion center accessorized with tiny, bright yellow highlights. 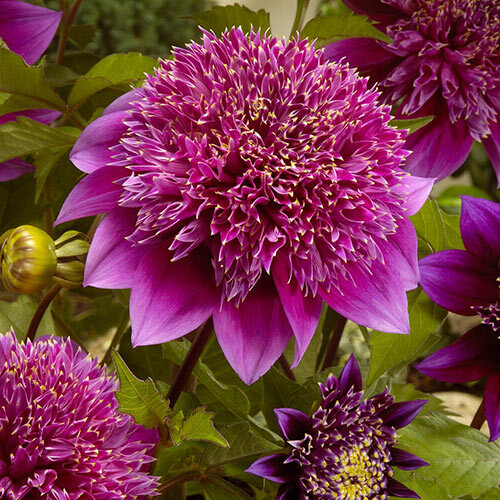 And because the plant form is more compact for a dahlia, it's perfect for jazzing up little corners of the garden or featured in a pretty patio pot. It'll also make an irresistibly charming fresh bouquet. 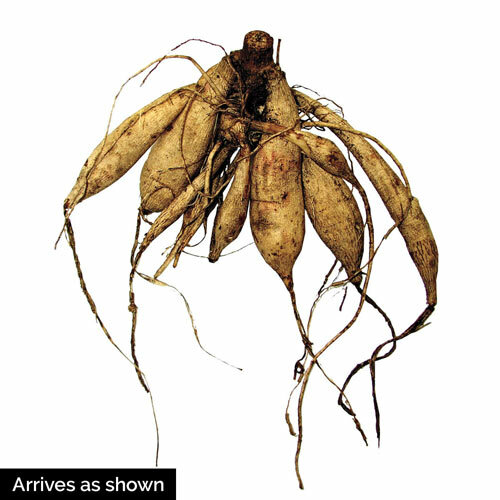 Like any dahlia, gardeners in most zones will need to lift this in fall. However it is very fast growing and will be quick to impress the next year, too.